Join us for this popular yearly session and learn what the courts and federal agencies have done to shape the ADA through their decisions and settlements. This session will review key issues that are currently before the courts and analyze the trends. Discussion will include some of the trends in case law at the lower courts which may have an impact on decisions at all levels, including issues that may find their way to the Supreme Court. 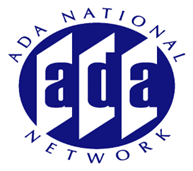 In addition, presenter will review how the courts are interpreting the ADA Amendments Act of 2008.